TORONTO (AP) — The man who went on a shooting rampage that killed two people and wounded 13 in Toronto was an emotionally disturbed loner and did not appear to act out of any particular ideological motivation, according to police documents released Thursday. The redacted documents also say Faisal Hussain fatally shot himself after the July 22 rampage. The documents were written by officers in support of obtaining search warrants. They also indicate Hussain had been arrested for shoplifting two days before the shooting but was released. The papers say Hussain had three dealings with police as an “emotionally distressed person” in 2010. Hussain’s twin brother told investigators his sibling once robbed a store with a gun and had called police to say he wanted to kill himself. 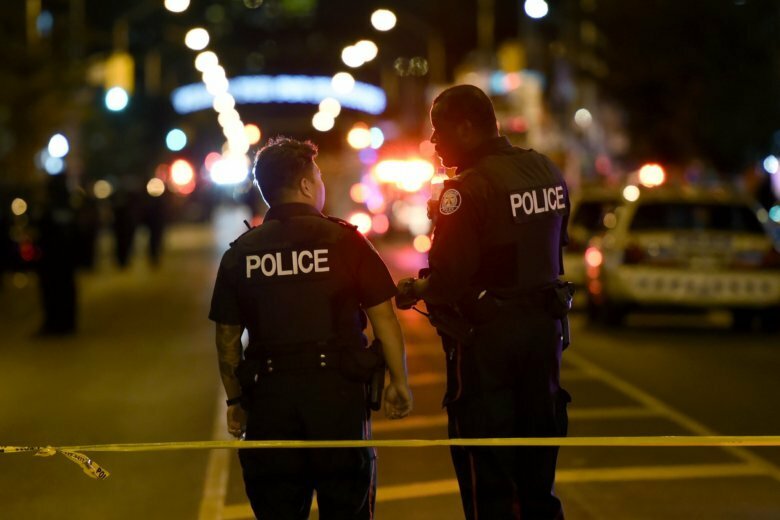 The mass shooting in Toronto’s Greektown neighborhood stunned people in the normally safe city, which was already unsettled by an attack just three months earlier when a man used a van to plow over pedestrians on a downtown sidewalk, killing 10 and injuring 14 while apparently aiming at women. According to one detective cited in the documents, Hussain’s cellphone was ringing repeatedly when his body was found. An officer answered the phone to discover it was Hussain’s parents frantically trying to reach him, the documents say. The officer advised them to go to a police station. Police used a dog trained to detect explosives when they searched Hussain’s home. What the dog found is partially redacted in the documents, but a white powdery substance — possibly cocaine — was found in a drawer. The papers also describe several witness statements, including one man who said Hussain walked casually and was smiling as he fired his lethal rounds. The attack ended after Hussain exchanged fire with two officers and then was found dead nearby. A day after the shooting, Hussain’s parents issued a statement outlining their son’s battle with depression and psychosis. They also decried Hussain’s “senseless violence,” described his actions as “horrific,” and offered condolences to families of his victims. But the documents say that in an interview with police, Hussain’s father said his son had no mental health issues. Hussain’s mother told police she had never seen her son with a gun, the documents say, but she described him as a loner who never had a girlfriend. His mother said Hussain didn’t use drugs, had shown no major changes in behavior and never talked about guns or appeared angry, the documents say. His father described taking him on a trip to Pakistan a few years ago. “Faisal was happy on the trip and did not want to return because people left him alone there,” the documents quote the father as saying. The father told an officer that he had forced Hussain to attend mosque “as he does not go willingly.” He said his son didn’t smile much and stayed in his room playing video games. Hussain was working two part-time jobs at the time he died, the documents say.